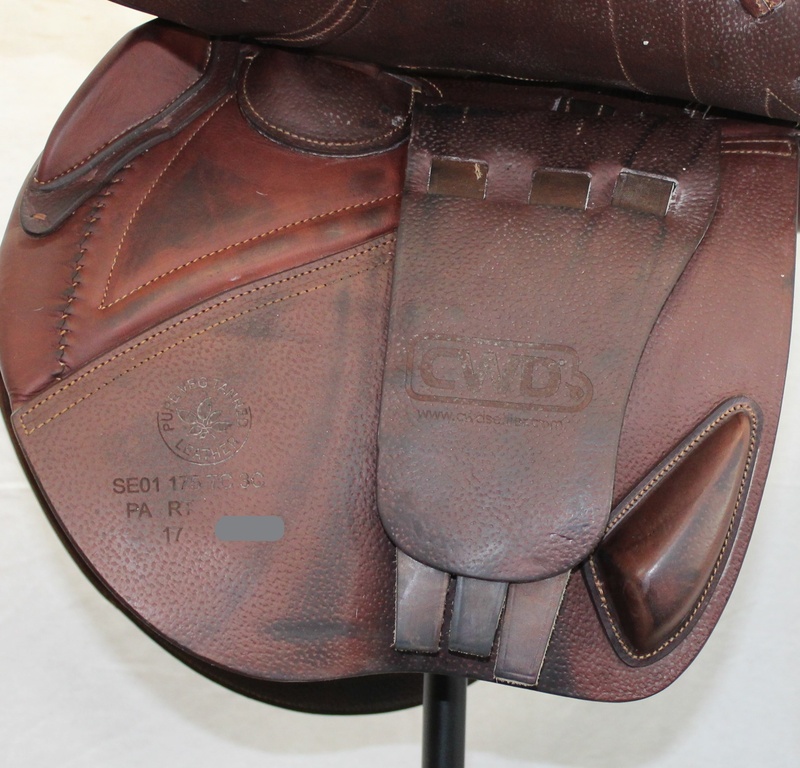 2017 CWD jumping saddle in EXCELLENT condition. 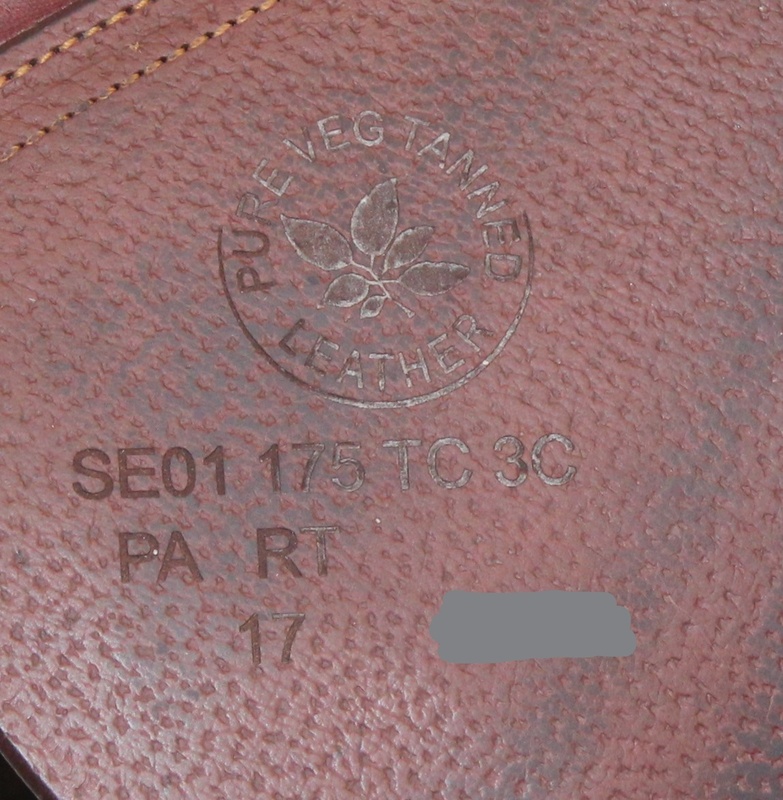 Dark brown, French full calfskin leather. Very lightly used, showing very little wear on flaps and billets. 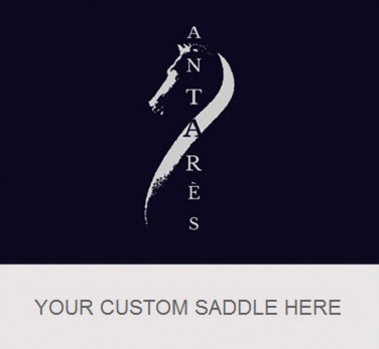 Designed with PRO panels to fit a variety of horses. 17.5" SE01 seat measures true to size. Flap 3C measures 15" from the top of the stirrup bar to the bottom of the flap. Flap width measures 15" across at its widest point. 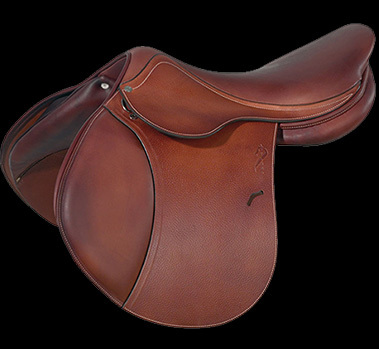 Tree measures 4" from dot-to-dot under the pommel, which is on the narrower side for a CWD saddle. Standard integrated PRO- panels for extra close contact.